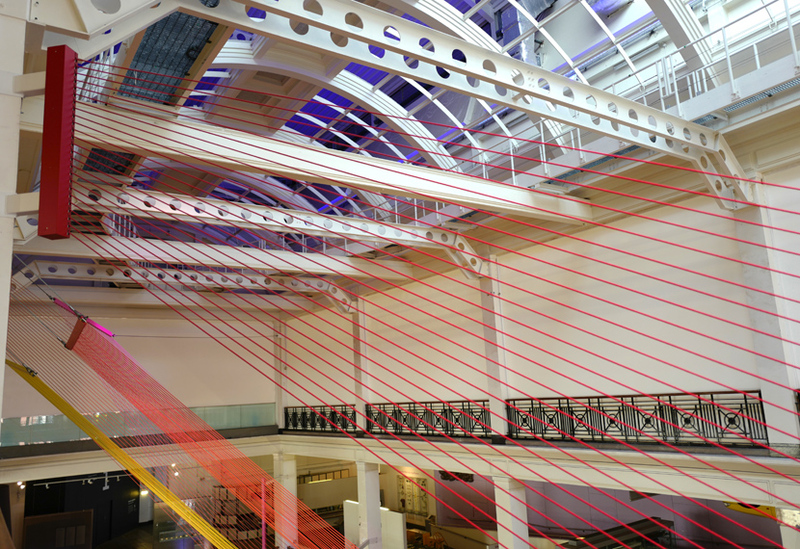 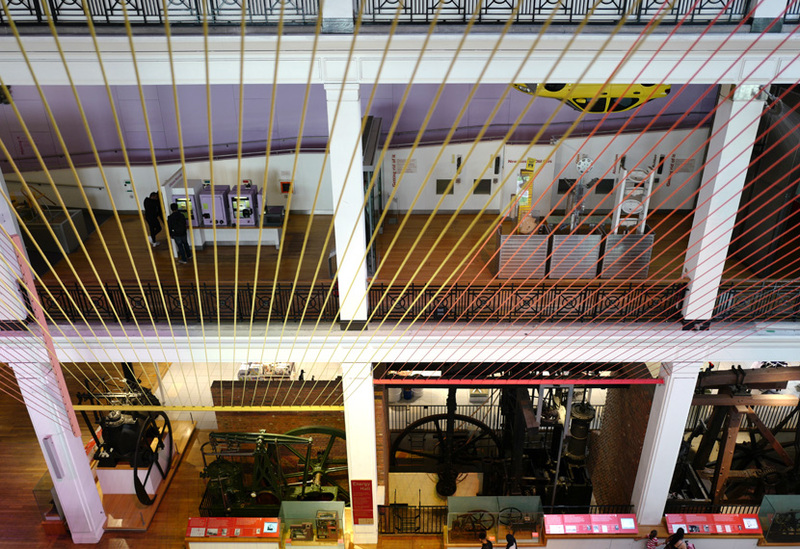 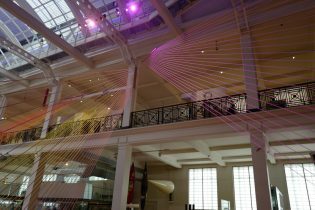 This vast, brightly-coloured tensile sculpture was installed in the atrium of London’s Science Museum. 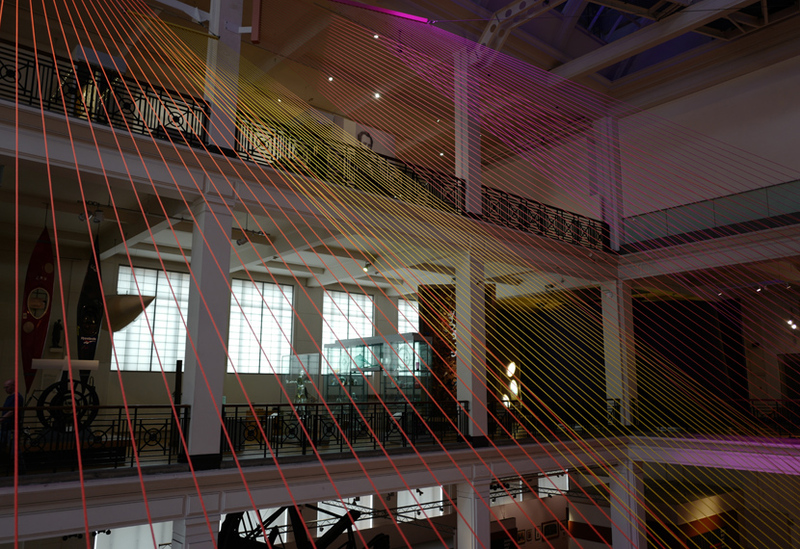 Designed to herald a major landmark exhibition about the sun, it spans the length, breadth and height of the atrium, changing with the perspective of the viewer. 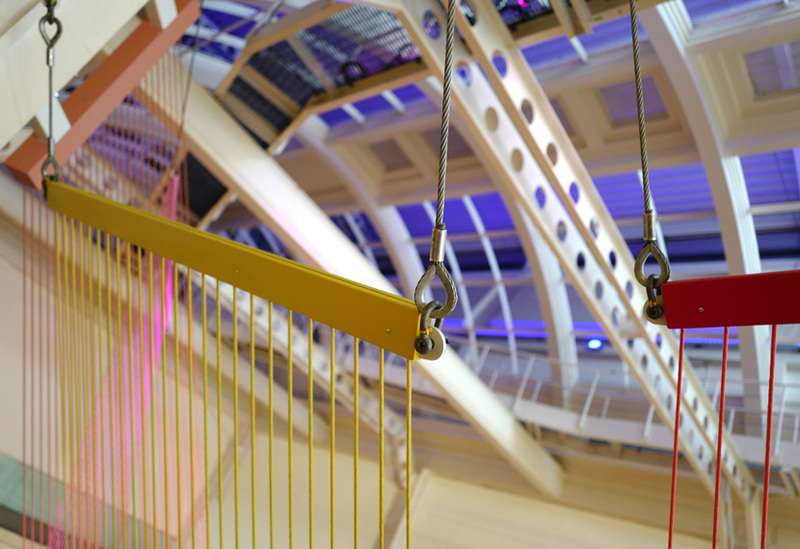 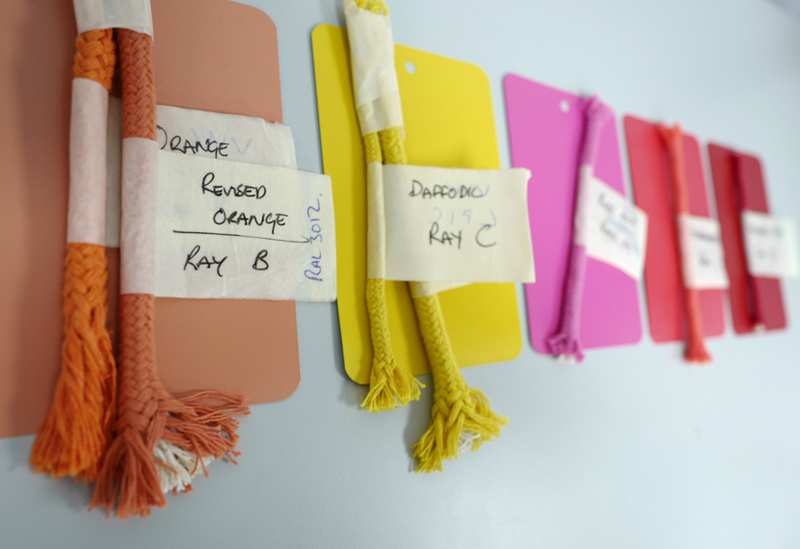 We worked with Sam Jacob Studio to help develop the design before manufacturing and installing the entire assembly. 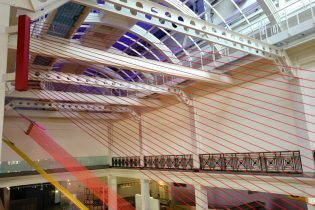 Our engineering experience, in particular with catenary systems, proved useful in refining the design and ensuring successful delivery. 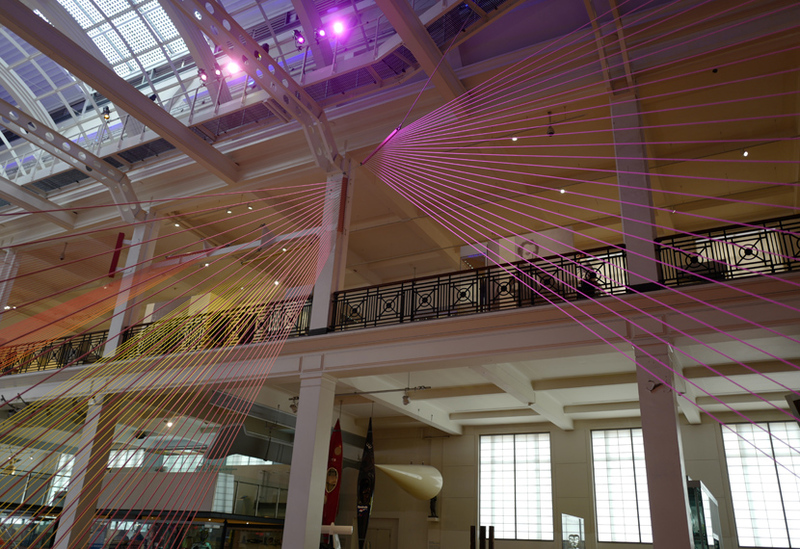 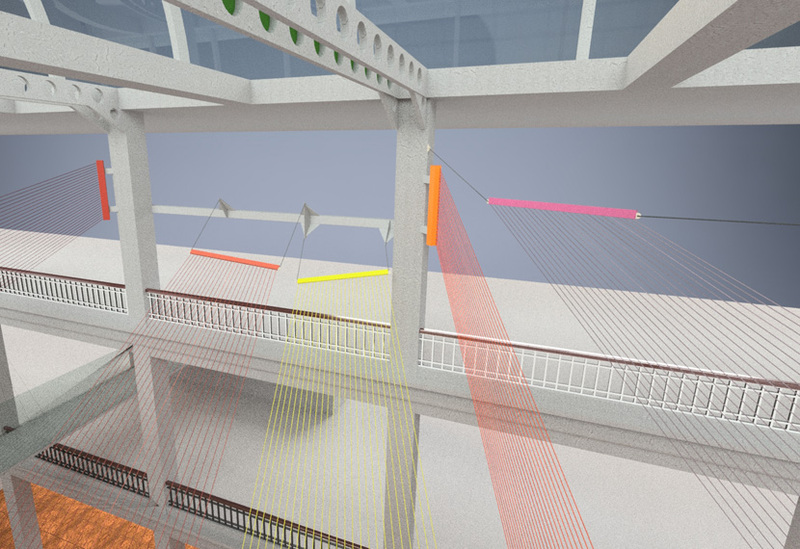 Five rays, each a different colour and each comprising 25 cotton ropes, span the 12m-wide atrium void, the ropes fanning out from top to bottom, like sun rays. 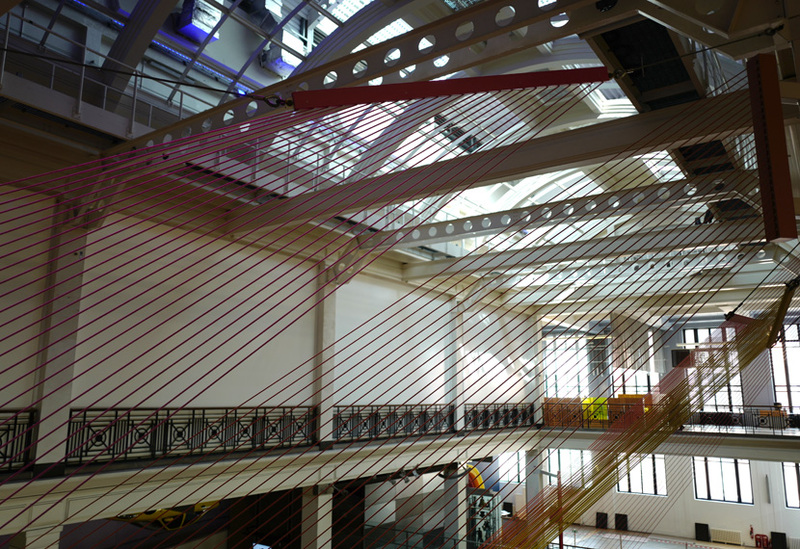 The rays are attached to the building via bespoke steel brackets, the heaviest of which weighed 361kg. 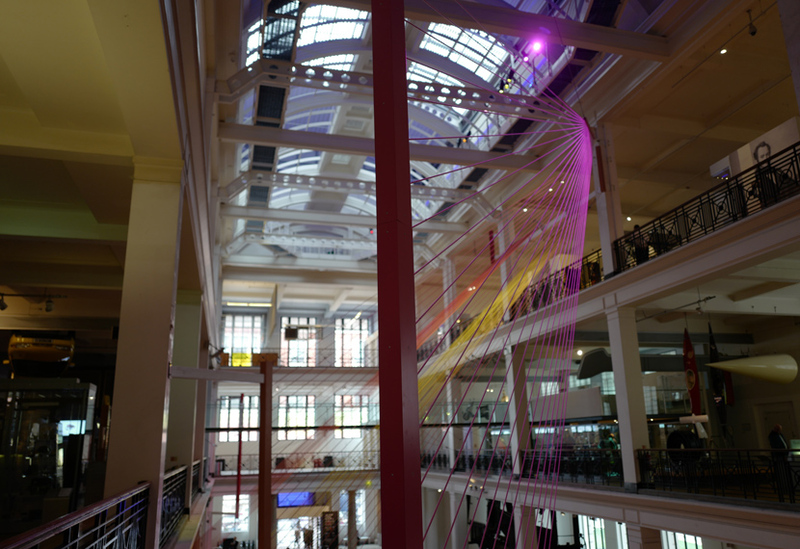 Our site team worked around existing exhibits to install the sculpture with minimal mechanical aid. 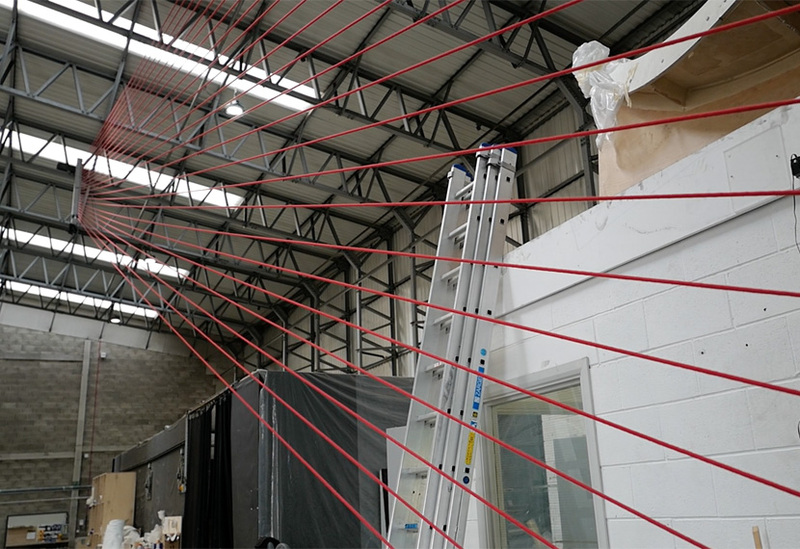 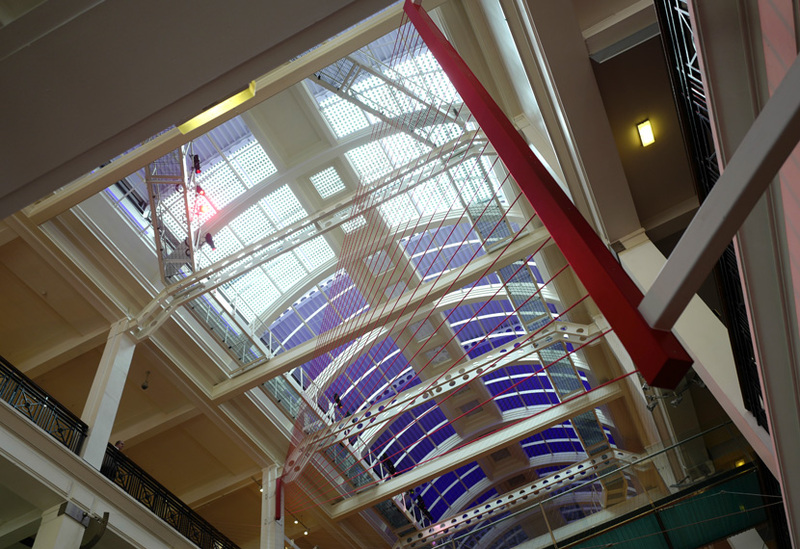 The upper-most bracket was fixed 18.5m above the floor, crew abseiling from the roof to assist in deftly hoisting and fixing the bracketry and ray assemblies into position.